Game Time - Rookie White - College Arkansas Razorbacks Black - A watch specifically designed for the next generation of sports fans this series features a simple and comfortable Velcro strap that is sized to fit small wrists. 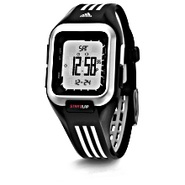 Adidas - Fitness Control 2 Watch Take control of your routine with the precision and style of the adidas Fitness Control 2 watch. 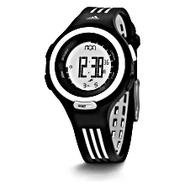 Made for sports enthusiasts who keep track this digital has a 10-lap memory an interval timer and 10 ATM water resistance. 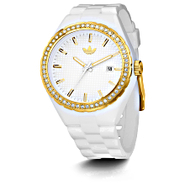 Adidas - Cambridge Watch A watch that reflects the timeless tradition of adidas Originals. The adidas Cambridge merges traditional sport heritage with a playfully distinctive design. 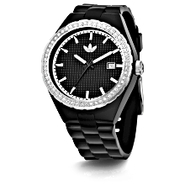 Features a polyurethane strap and classic analog movement.
. - SEIKO ASTRON GPS SOLAR SSE015 BEAUTIFUL VERY ELEGANT AND SPORTY Authentic!